1617 12th St S, Birmingham, AL.| MLS# 813060 | Richard Jacks UABLIVING.com 205-910-2297 | Birmingham AL Real Estate | Contact us to request more information about our Homes for Sale in the Birmingham AL area. Location, Location, Location! This is the one! 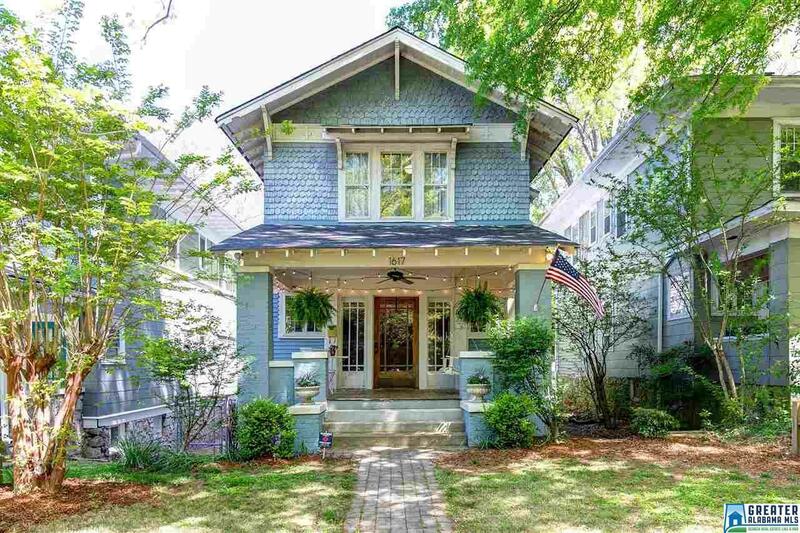 You must see this charming Arts and Crafts two story updated historic home in the Southside neighborhood of Birmingham. Highlights include: LARGE FRONT PORCH; Covered Back Deck; FENCED YARD; Formal Living Room; Large DEN/Dining area; UPDATED KITCHEN with STAINLESS APPLIANCES INCLUDING GE MONOGRAM SUBZERO FRIDGE and THERMADOR gas range, GRANITE COUNTERTOPS, large Pantry, and lots of cabinets; Laundry Room on main level with Barn door; 3 bedrooms on 2nd level including a Large Master Bedroom, Full bathroom with tub/shower combo and 3rd bedroom has a BONUS ROOM that could easily be turned into another bath or a bigger bedroom or office area; Half Bath on main level; Two Fireplaces; Hardwoods thruout; Large unfinished Basement with extra washer/dryer hookups. Roof~2016, Electrical, Plumbing and insulation~2007. Location is hard to beat! 1.5 Miles to UAB Campus, AND so close to shopping, restaurants and interstates. Schedule your showing today! Driving Directions: 20th St South; Turn Right On 10th Ave S; Left On 12th St S. Home Is On The Left. Also Easy To Access From Green Springs Avenue.